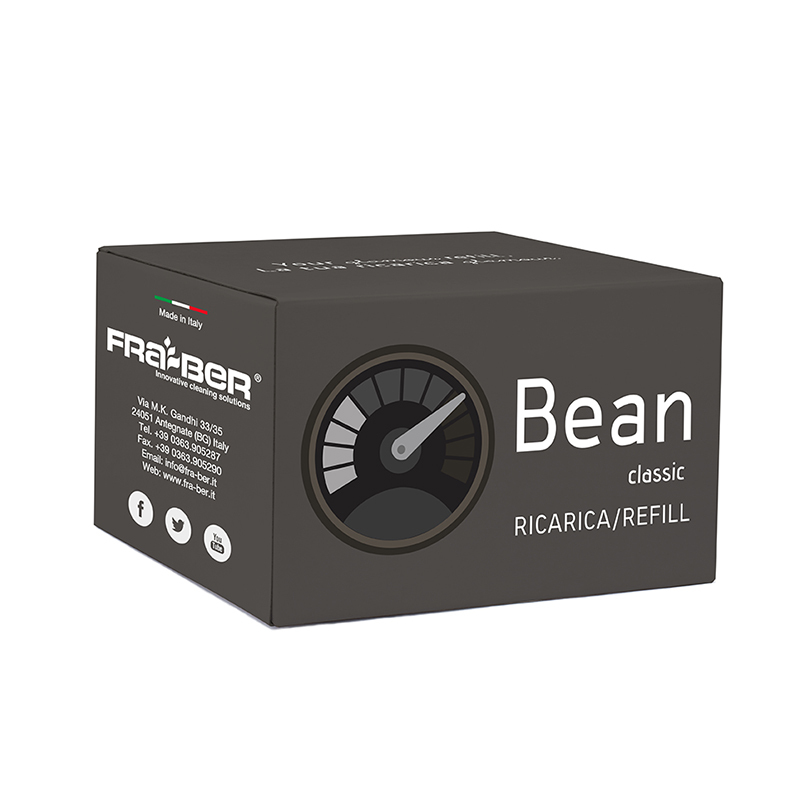 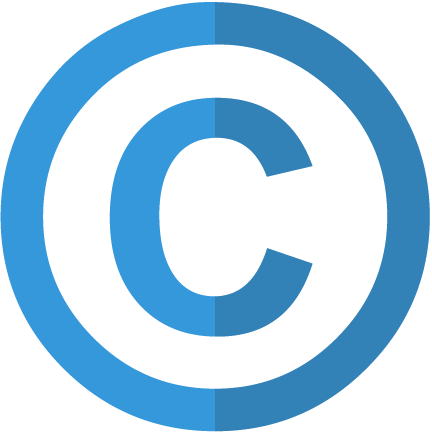 Bean is a Fra-Ber patent and its design is protected by copyright; the printed logo on the front refers to the mother company: Fra-Ber s.r.l. 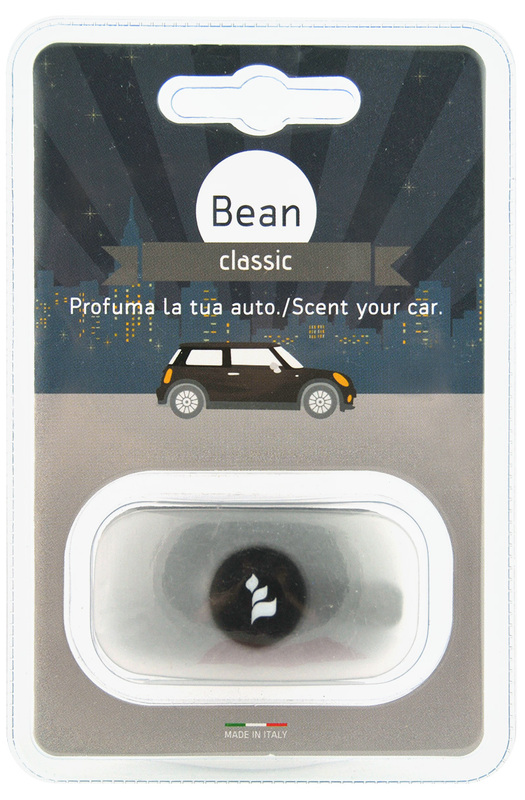 and allows Bean to be distinguished from any counterfeit or copy. 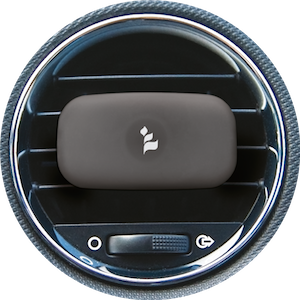 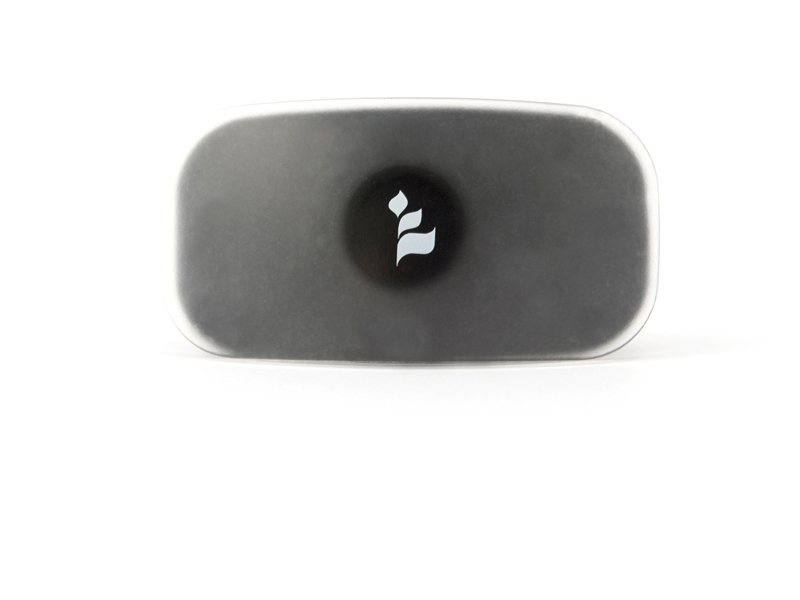 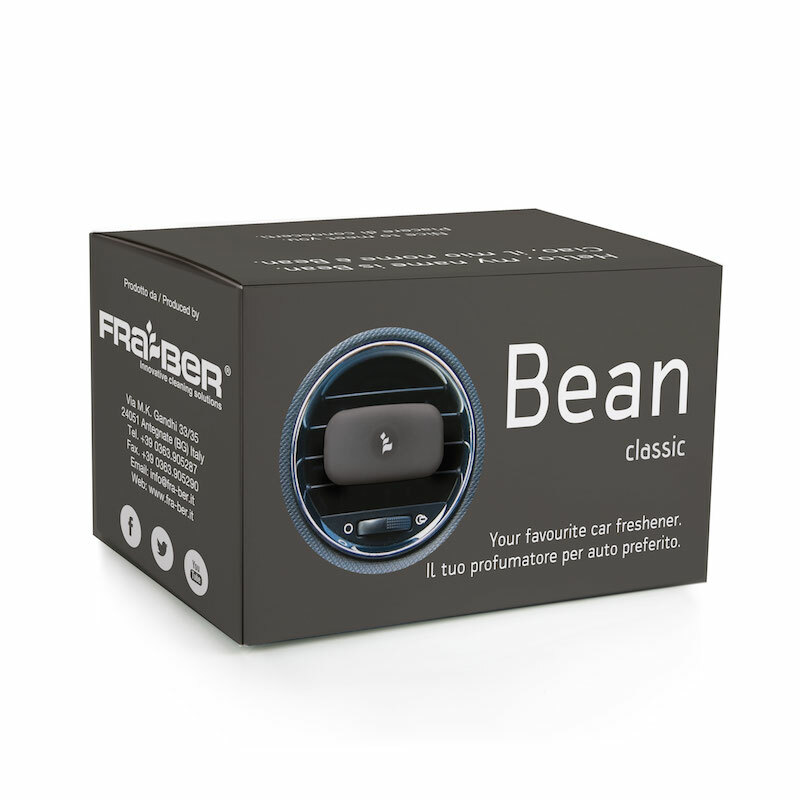 The back of Bean is designed by the team of Fra-Ber engineers and is made so as to increase the contact surface with the air and consequently the diffusion of the fragrance in the vehicle/environment. Furthermore, having the option of increasing or decreasing the air output of the vehicle's vents allows a gradual release, according to one's preferences. 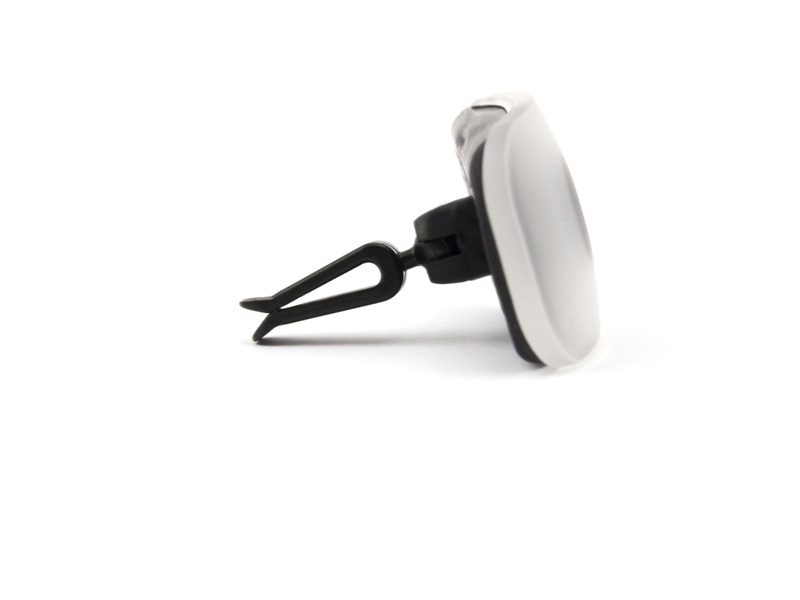 The latest Fra-Ber innovation is a product with a clean-cut and simple design. 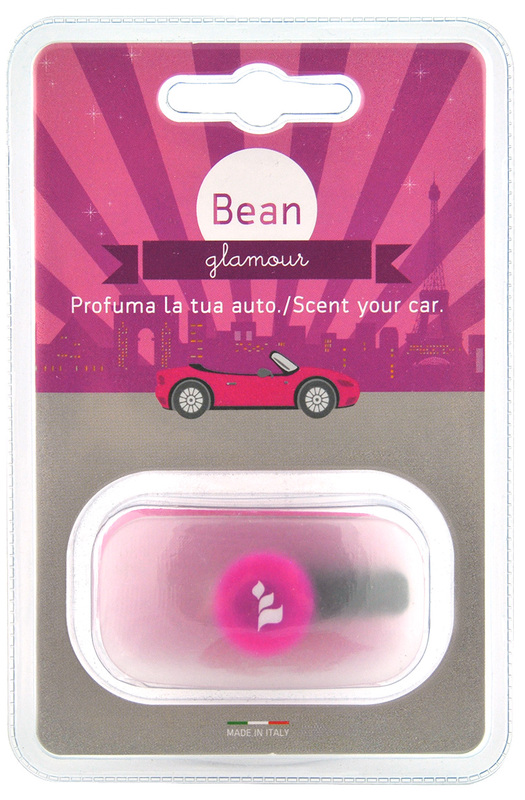 Its rounded shape and corners and the solid bold colours guided us to its name: Bean. 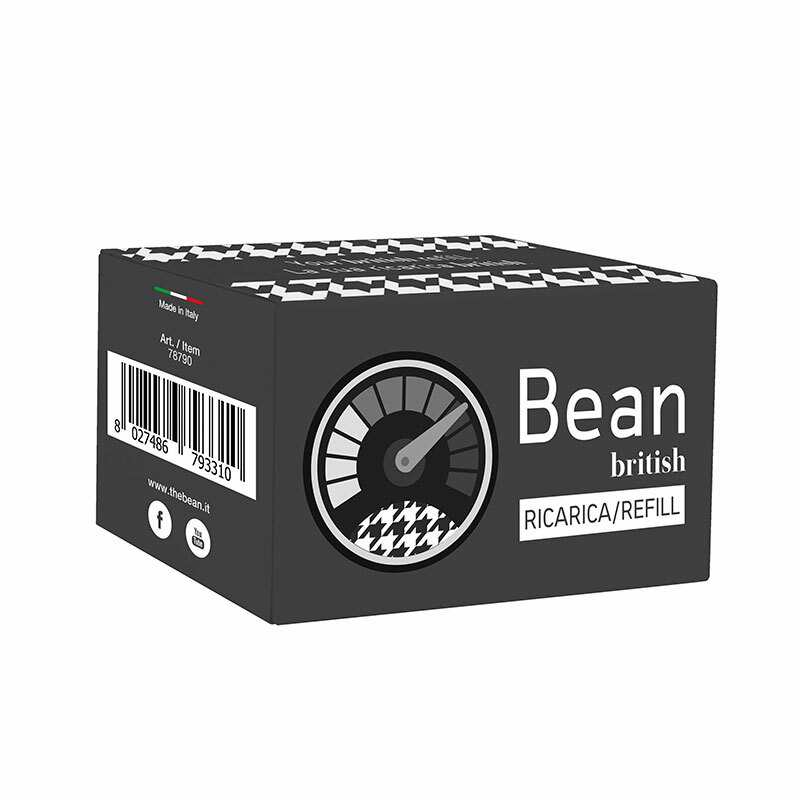 Bean: in English it is almost a proper name, as though it were a person. 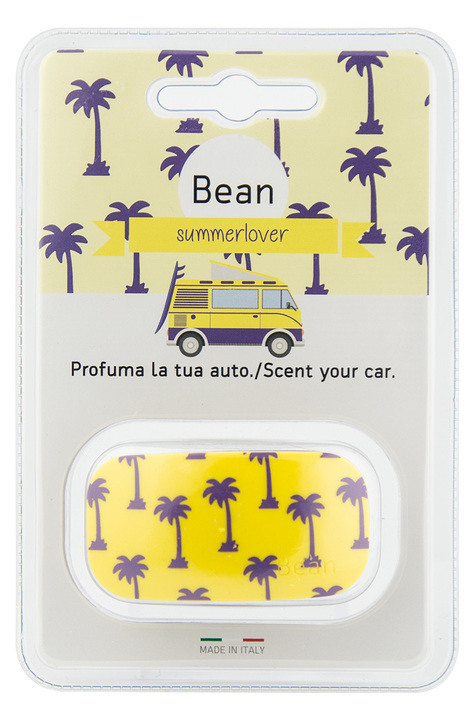 "Hello, my name is Bean and I am your car air freshener." 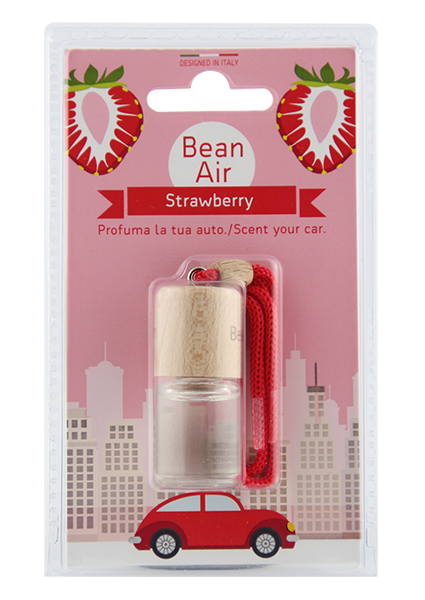 Because you can choose your Bean not only according to colour or scent. 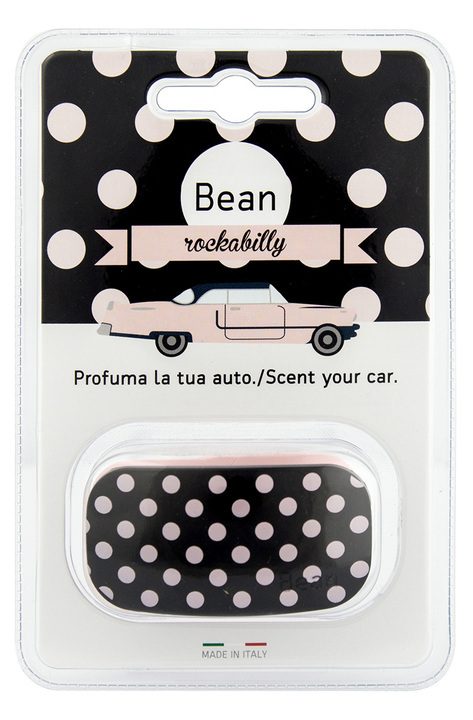 Bean is the only car air freshener that matches your mood and your attitude. 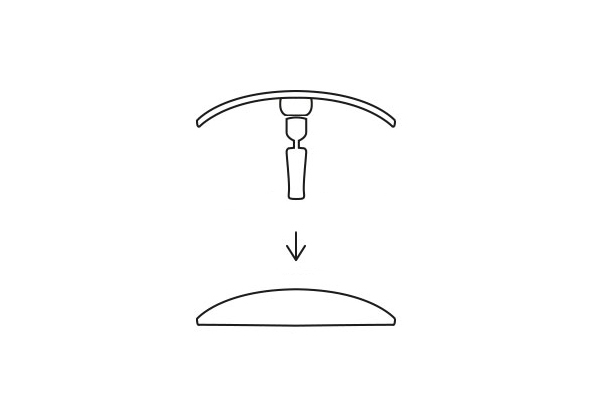 And you, what mood are you in today? 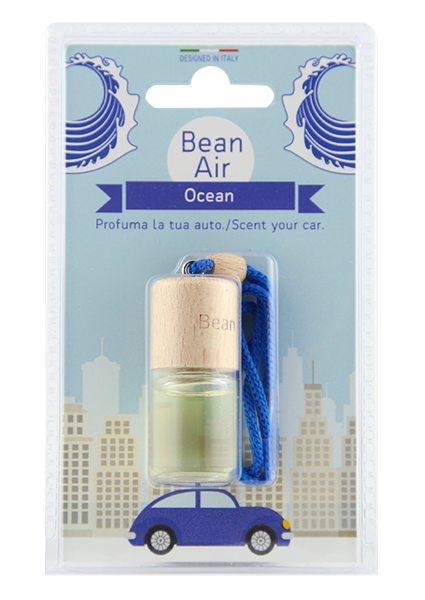 A different personality for every fragrance: choose your Bean based on your lifestyle, your hobbies or your favourite colour. 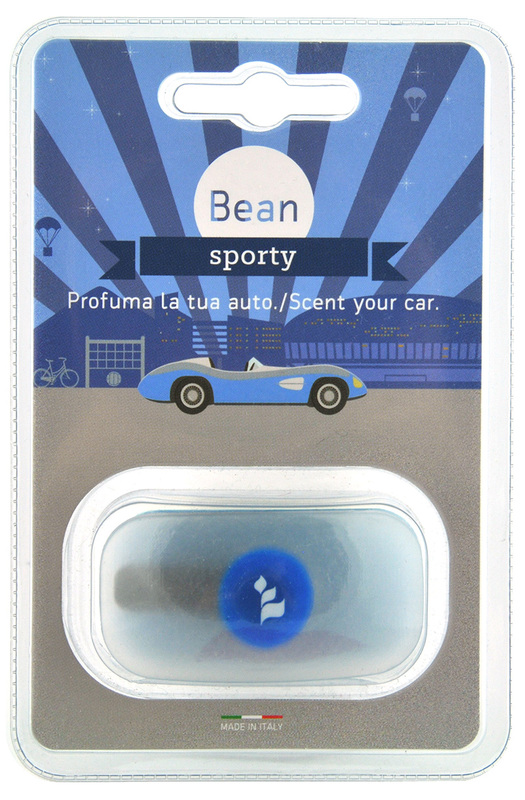 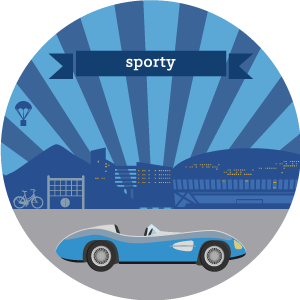 Bean Sporty: intense and full-bodied. Bean Balance: light and bubbly. 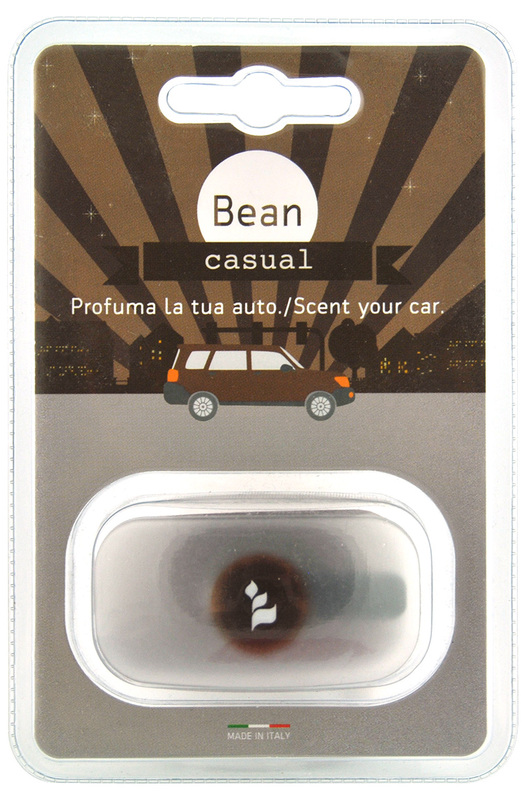 Bean Casual: fruity and fresh. 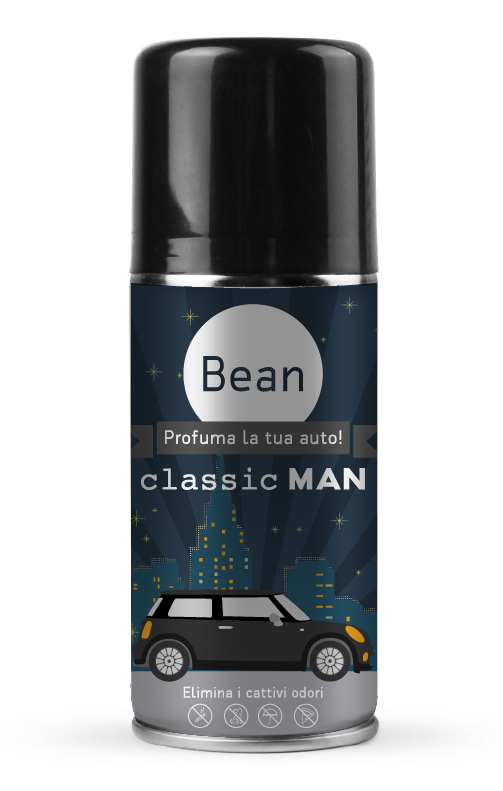 Bean Classic: stylish and refined. 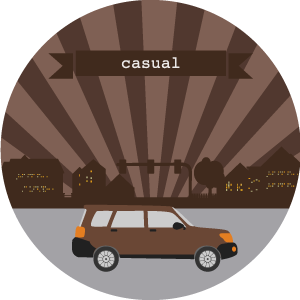 suitable for those who love the outdoors and a relaxed lifestyle. 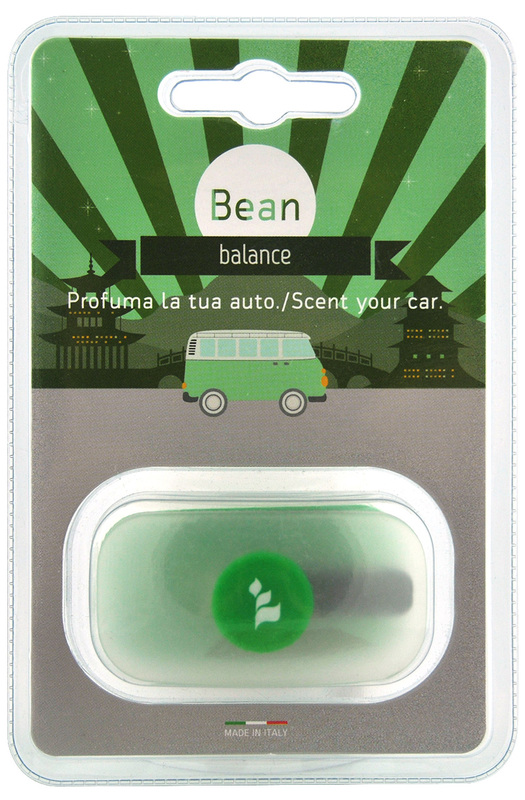 Bean Balance: for Zen personalities. 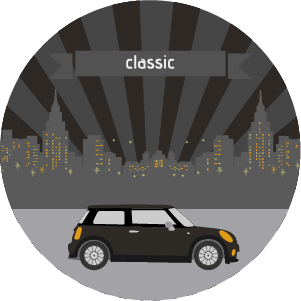 suitable for those who are convinced that classic is always the best choice. 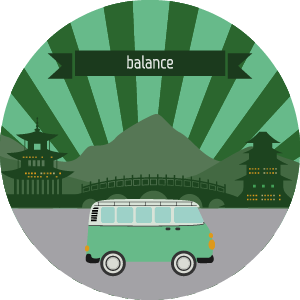 and love to always be on the move. 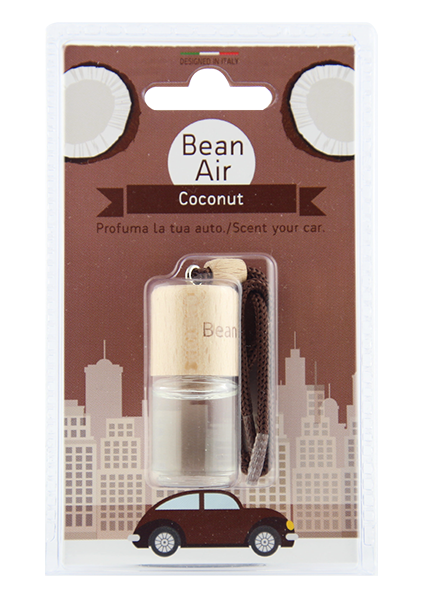 An intense and full-bodied fragrance. 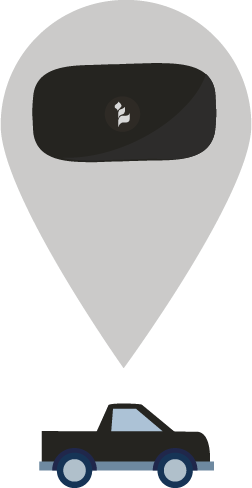 And you what mood are you in today? 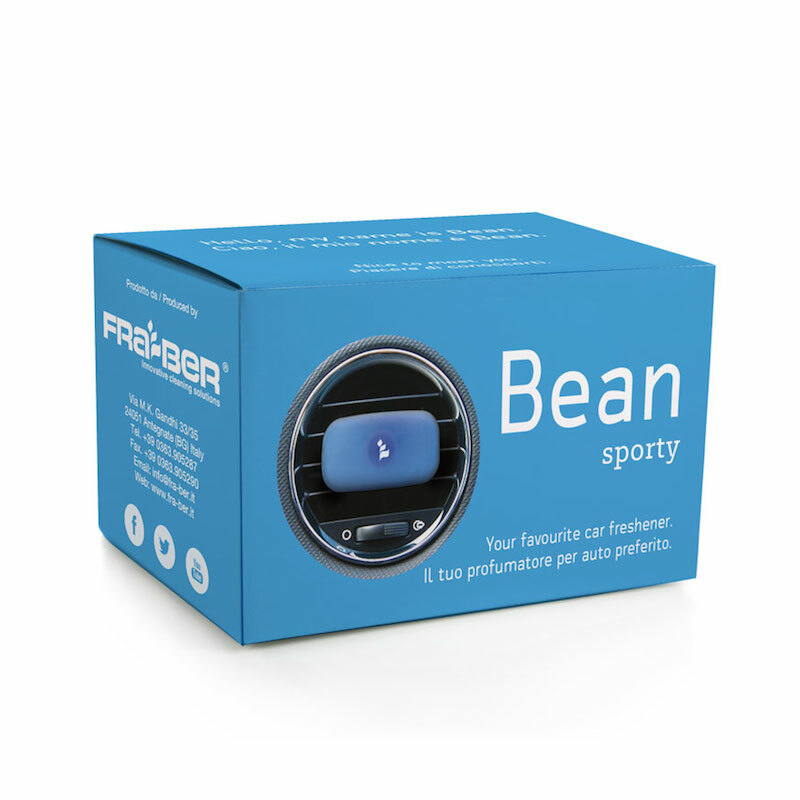 Bean is disassembled inside each pack. 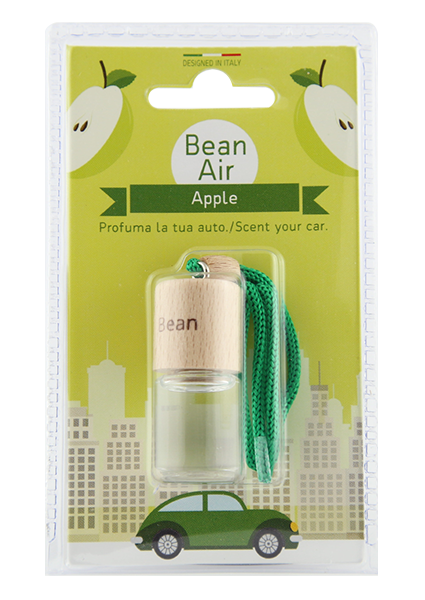 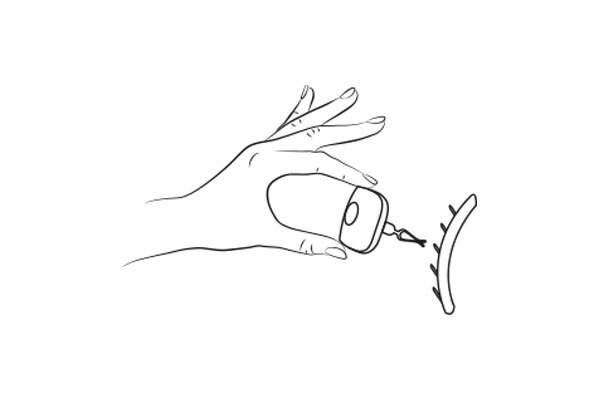 All three parts of the body of Bean are included in a poly bag that allows the fragrance not to disperse before use. 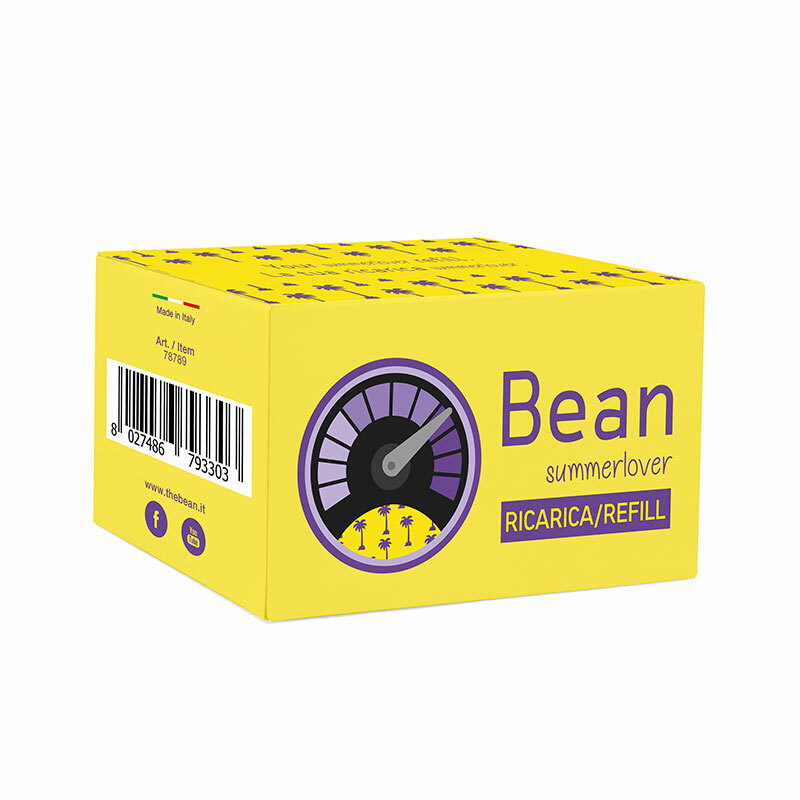 The three parts are to be coupled together and Bean will be ready for use. 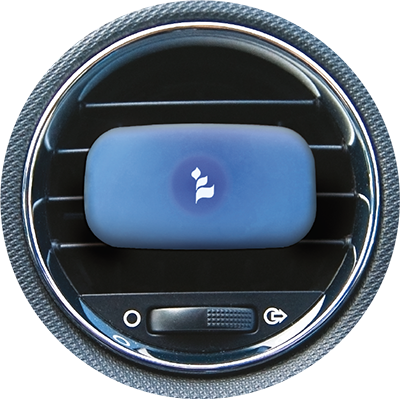 Install it by simply applying it to the air vents of your vehicle, switch the ventilation system on to the desired speed. What are you waiting for to give new energy to your Bean? 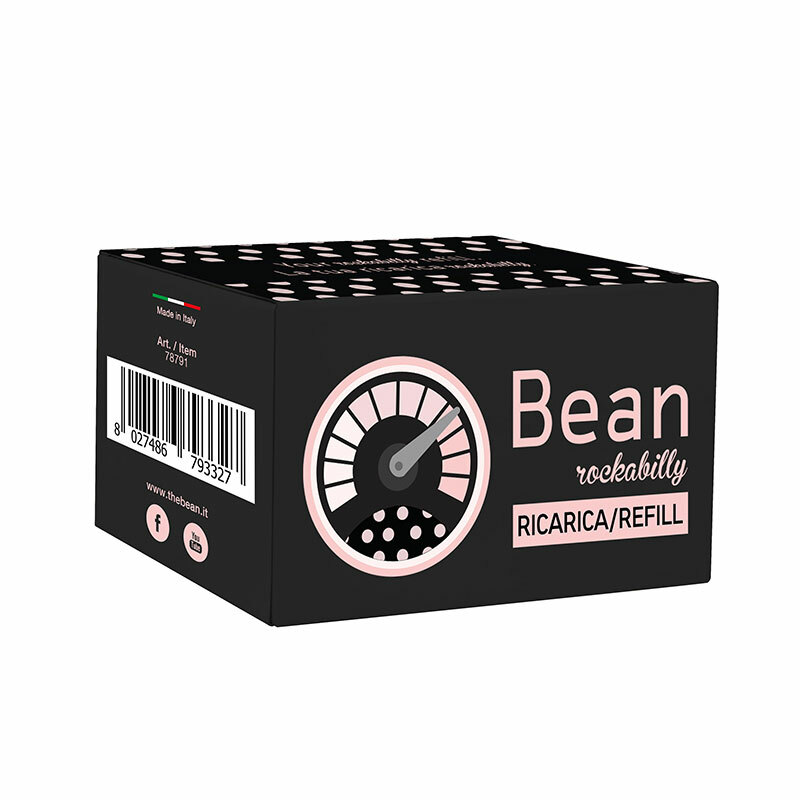 Buy your refill now! 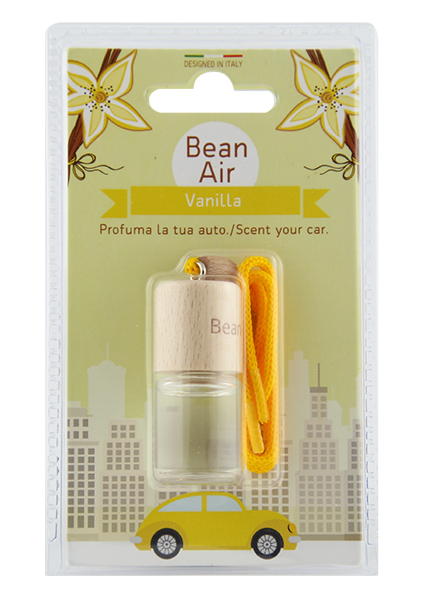 Try the spray version of Bean: easy to use, convenient to keep in your car and ready to use in any situation. 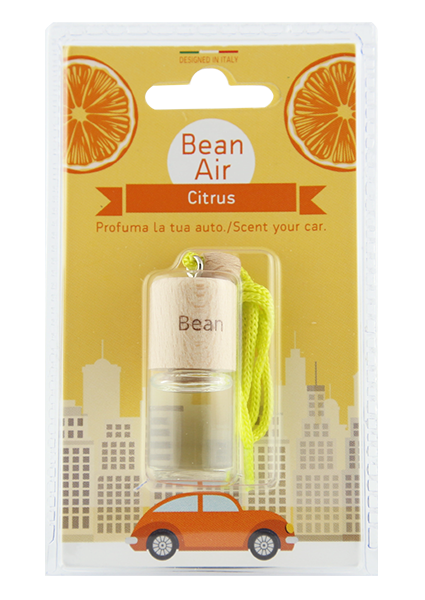 Bean spray is the perfect solution to freshen the car up quickly and lend a pleasant fragrance to the textiles. 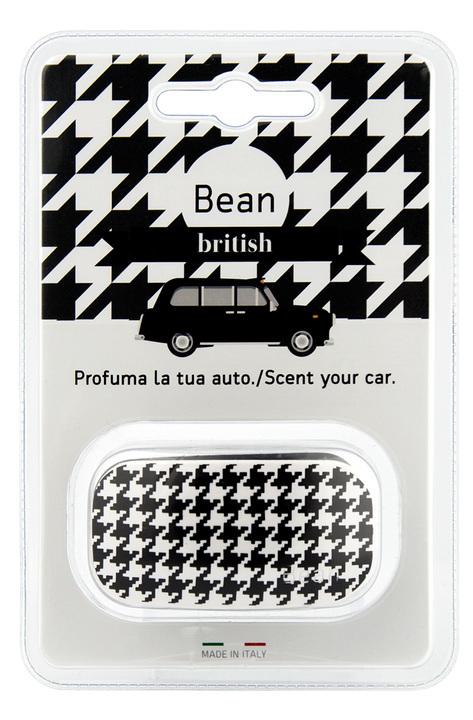 in the best car washes and petrol stations. 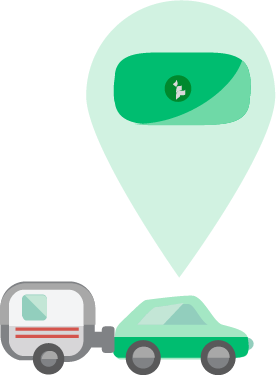 "Innovation" is a key word for our company policy. 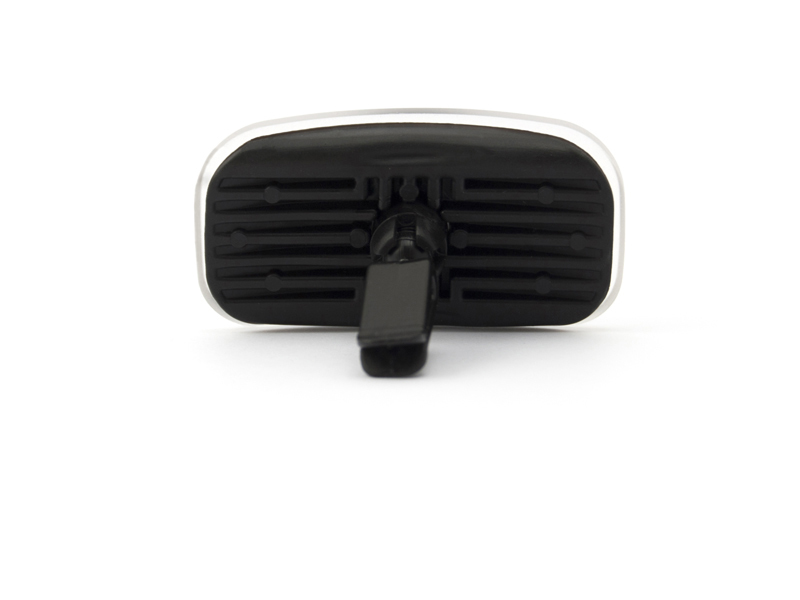 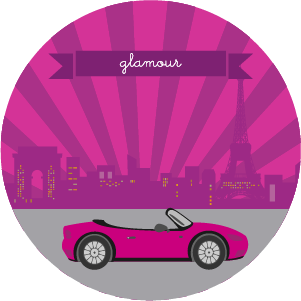 The attention to detail applied in our products is directly proportional to the attention given to our clients. 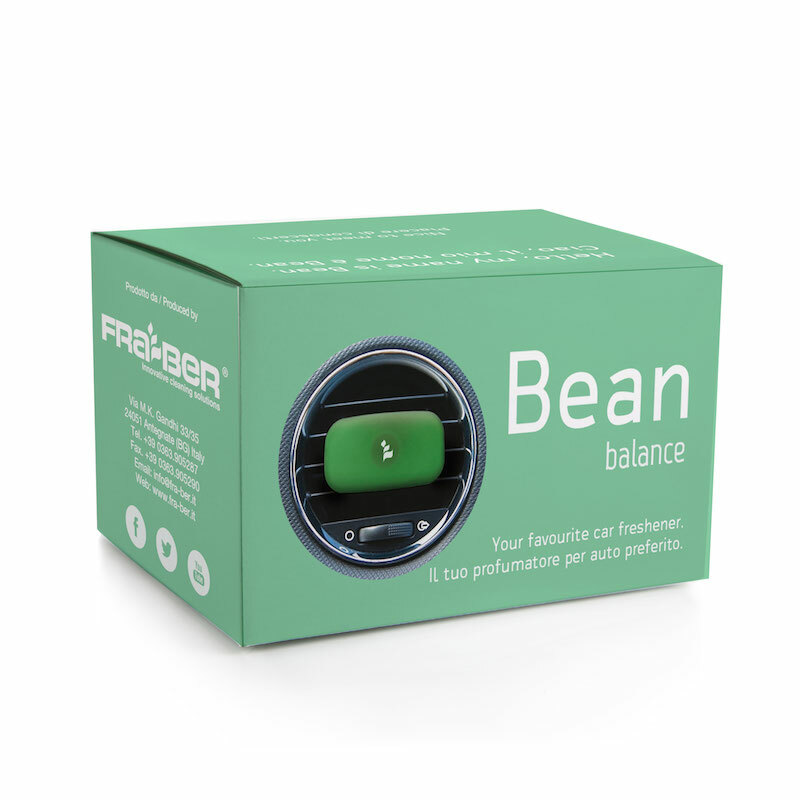 Fra-Ber is proud of its creations and protects the creativity and expertise by patenting and protecting the design and composition of its range of specific products for every requirement. For over 30 years, Fra-Ber has specialised in vehicle, motorcycle, boat and truck care products. 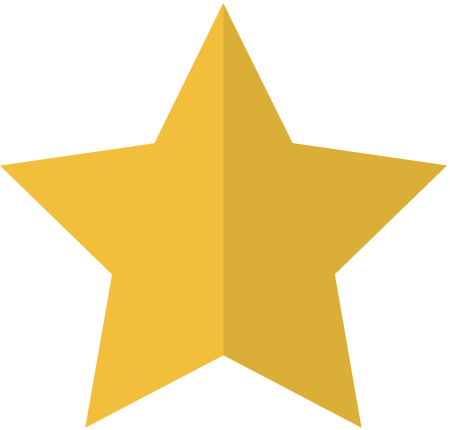 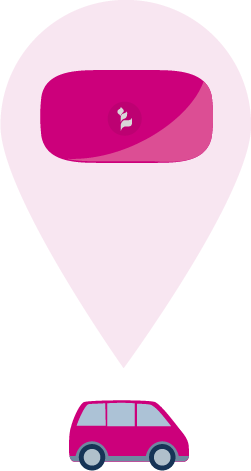 Today, it is an active company and found in more than 60 countries. 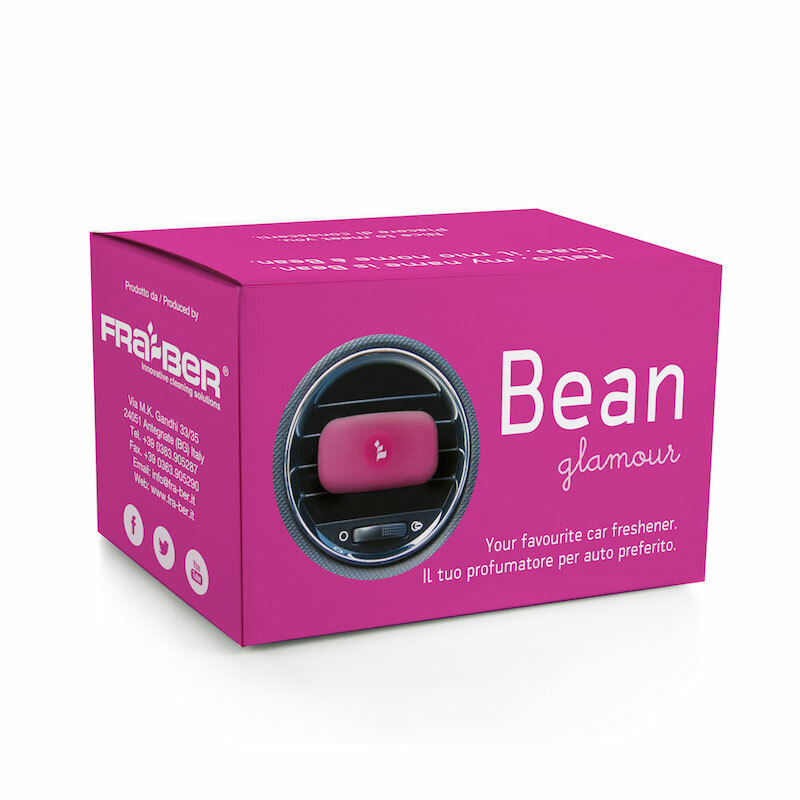 Fra-Ber exports 60% of its production thanks to the trust shown by several clients who value its quality and cutting edge products.